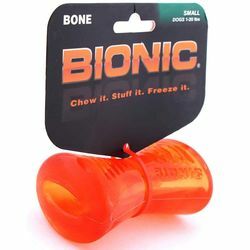 There’s more than one way to have fun with the Bionic Bone Dog Toy. First, you can stash your dog’s favorite treat inside and challenge him to the tastiest game of hide-and-go-seek ever, or you can just use it as a good ol’ fashioned chew toy. 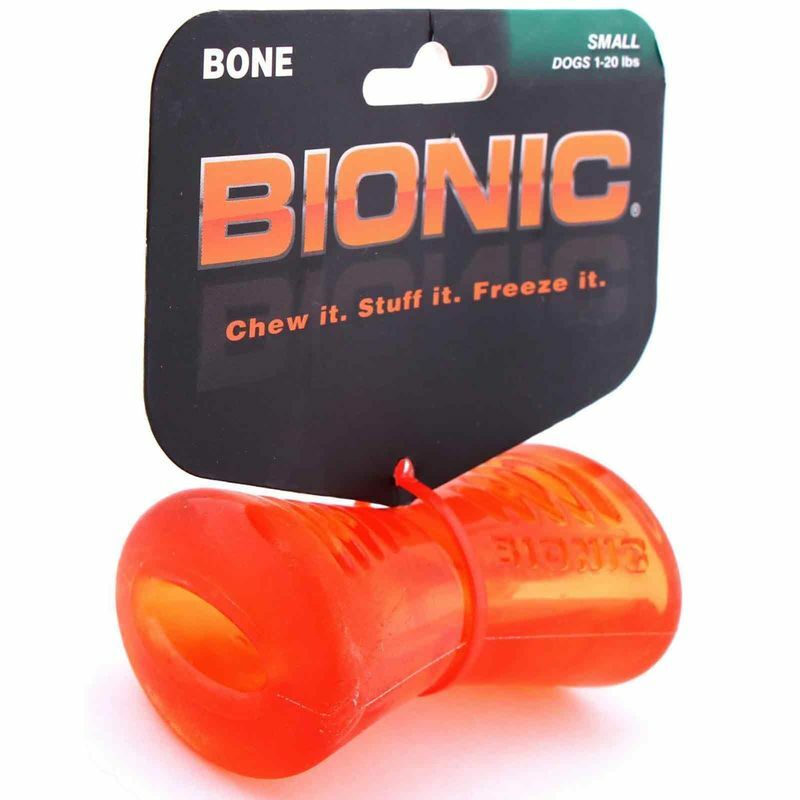 The supernaturally strong Bionic Rubber design is made to stand up the toughest chewers, with thick ridges on every chew point that simulates your dog’s senses. It even floats and bounces, so you can have fun on dry land or in the pool on those warm days. He’ll love to chase after it wherever you are, and the choice of bright colors make it easy to spot. Treat-dispensing design holds treats and provides a long-lasting mental challenge for your dog to release. 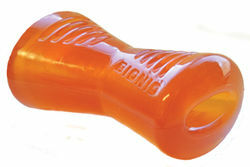 Also bounces and floats, so it’s great for fetch on dry land or in the pool, lake or ocean. Choice of bright color are super easy to spot, and the soft edges are easy and safe to chew. Supernaturally strong Bionic Rubber features interwoven molecules that make it durable yet pliable and bouncy. Dishwasher safe and recyclable food-grade rubber is free from lead, BPA and phthalates and won’t splinter. Always supervise pet while playing. No dog toy is indestructible. Small pieces may be torn off. Toys should be inspected regularly and not left with any dog unattended. If damage occurs, replace toy immediately.